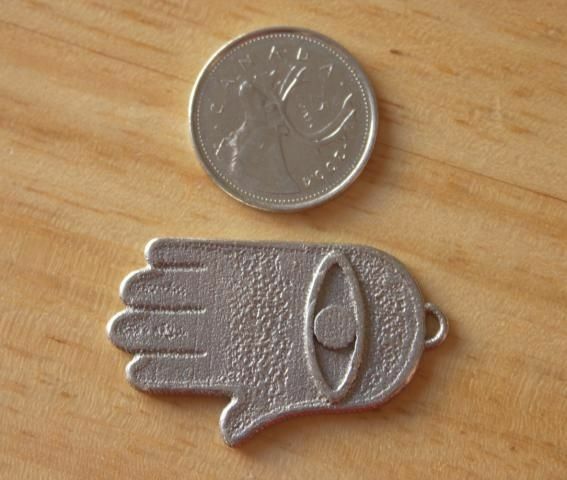 Hamsa Hand. 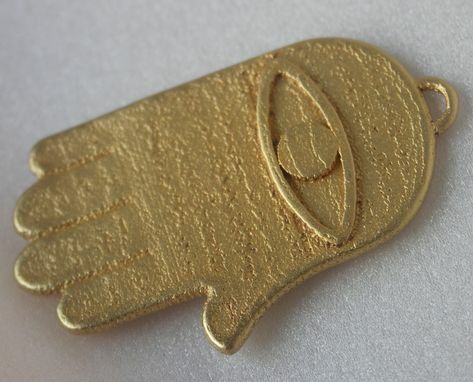 24kt Gold-Plated Pendant. Free Shipping. This is my own creation, obviously based on a design that goes back centuries through history. It is made of 24kt gold-plated stainless steel and measures 4.3cm long by 2.7cm wide (1.69" x 1.06"). The loop is large enough for a thin chain or piece of leather.